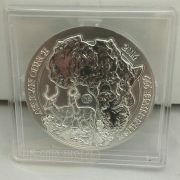 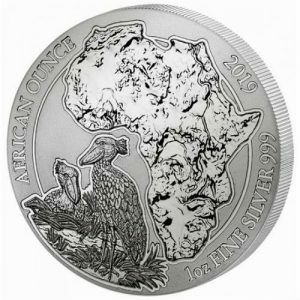 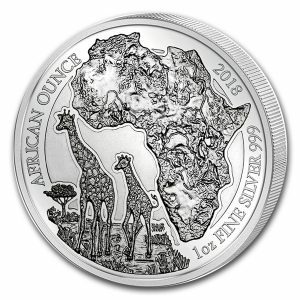 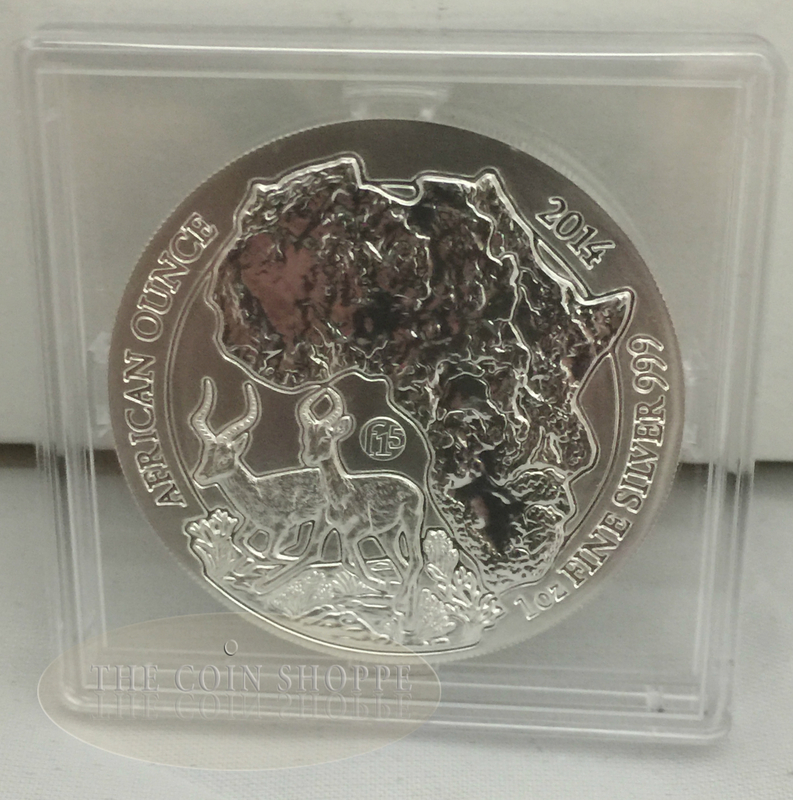 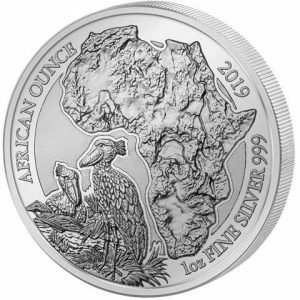 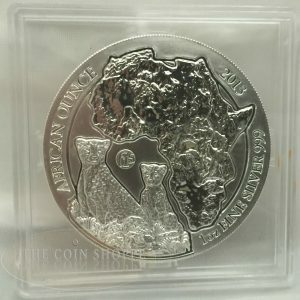 This silver coin is the 7th in a series for the Rwanda African Wildlife. 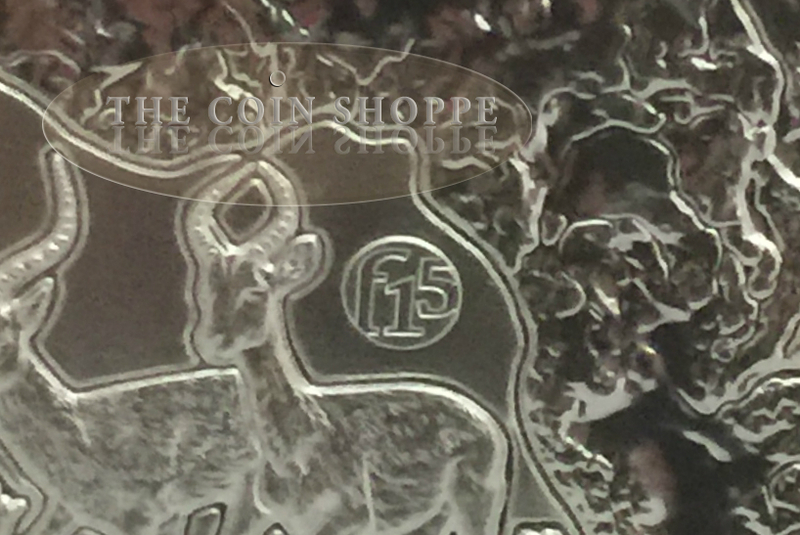 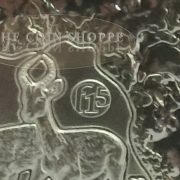 This coin is encased in a special square capsule, and also bears the F15 Privy Mark as part of the Fabulous 15 Collectors Set. 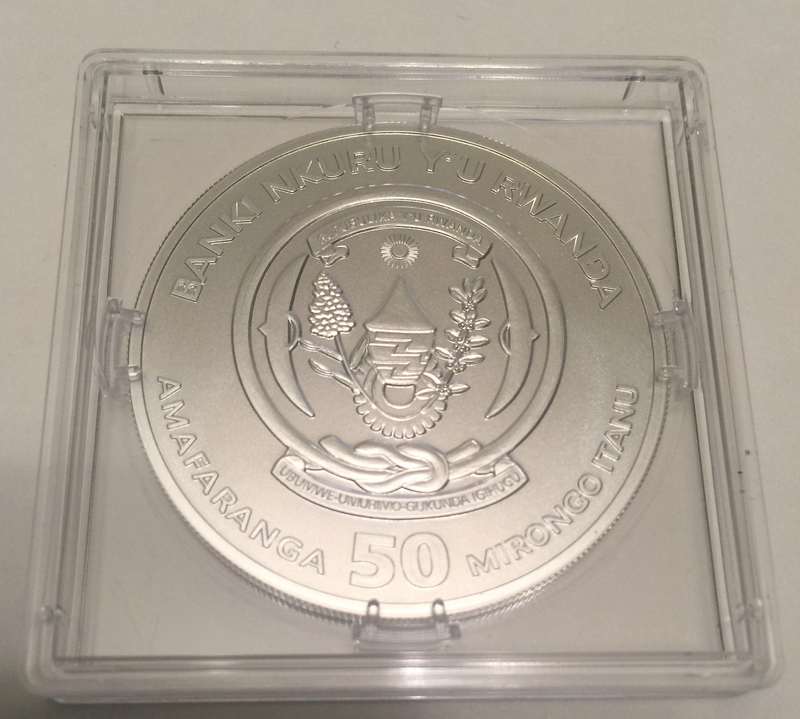 The obverse of this coin features the National Seal of Rwanda. 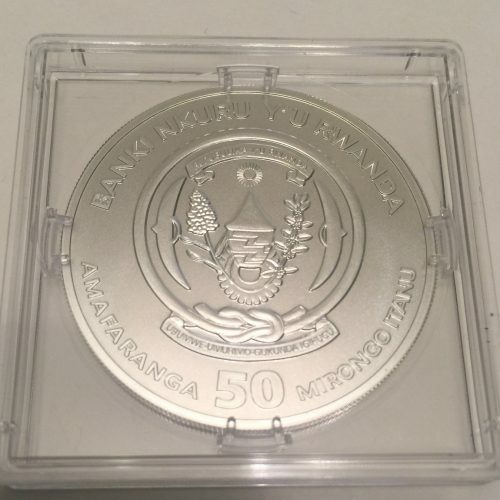 The present National Seal was adopted in 2001. 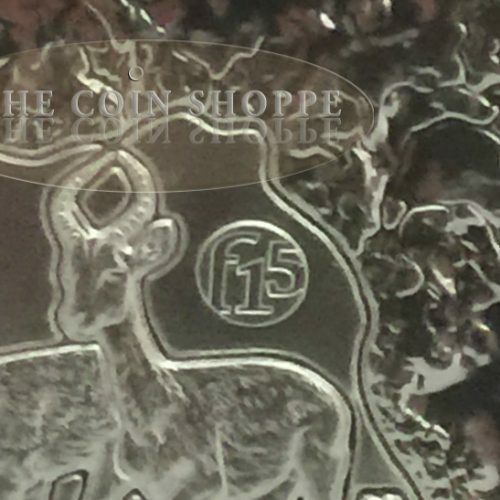 The seal combines different elements that symbolize the unity of the country. 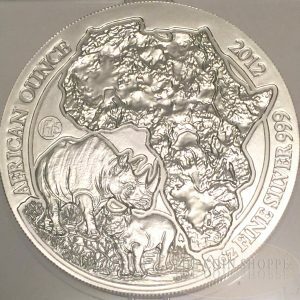 The reverse on this coin has a motif with the outline of Africa textured to show the terrain and an adult rhinoceros and her calf.